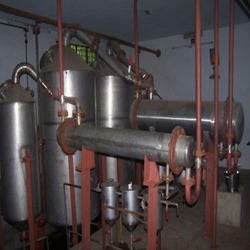 We are a leading Manufacturer of oil distillation plant from Mumbai, India. Sparktech expertise also allows us to Fabricated Oil Distillation Plant, which has gained acclamation for trouble-free performance and easy to use controls. Manufactured using sophisticated technology with quality tested components spare parts, Oil Distillation Plant are sturdy and in compliance with defined industry standards. Looking for Oil Distillation Plant ?